Greetings in the Name of the Master Teacher, The Lord Jesus Christ! I have attended and served in the Baptist Educational Congress of the District of Columbia for many years and I am humbled and honored to serve as President. The Congress is an organization about which I care deeply because I believe Christian education is important. The Congress’ scriptural foundation is II Timothy 3:16, 17, “All Scripture is given by inspiration of God, and is profitable for doctrine, for reproof, for correction, for instruction in righteousness, that the man of God may be complete, thoroughly equipped for every good work.” The theme I have chosen for the Congress is “Christian Education Matters.” I believe the theme speaks to the importance of Christian education and the times in which we live. If we ever needed the Lord before, we sure do need Him now! As we study the Bible in our churches and in the Congress and increase in our knowledge of God and His Word, our faith in Him will strengthen and increase and so will our witness and works increase in our world. The Congress was organized in 1943 by the Reverend E.L. Harrison, Shiloh Baptist Church, who was serving as President of the Baptist Convention of the District of Columbia and Vicinity. Reverend Harrison recognized the need for a strong biblical training program for the members of our churches. I stand on the shoulders of great men and one woman who have led this Congress to its current heights. I look forward to continuing to lead the Congress, with God’s help and in cooperation and consultation with our churches, to become a premier organization where men, women and children, are taught and trained to become spiritually mature and fruitful disciples of the Lord Jesus Christ. Annalisa Diane Lee is a native Washingtonian, educated in the D.C. Public School system. She serves gladly in Christian education ministry at Trinidad Baptist Church, Washington, DC, under the pastoral leadership of the Rev. Dr. John T. Rhodes. Ms. Lee is a graduate of Washington Bible College and has served more than 30 years in Christian education ministry. Ms. Lee believes that the Bible is the inspired, inerrant Word of God that gives direction to every area of life and her philosophy of Christian education embodies this belief. As a Christian educator and Congress president, she is fully committed to teaching and training men, women and children, to become spiritually mature and fruitful disciples of the Lord Jesus Christ. Ms. Lee was appointed as Dean of the Baptist Educational Congress in 2007 and served as Dean for eight years. 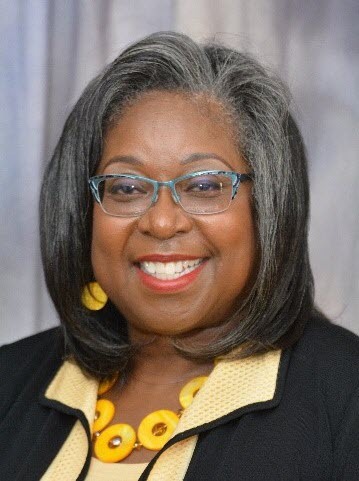 She is the first woman to serve as Dean of the Congress and the first Dean to be certified by both the National Baptist Convention, USA, Inc., and the Progressive National Baptist Convention, Inc. In 2014, the National Baptist Convention, USA, Inc., Sunday School Publishing Board recognized the Baptist Educational Congress as the Christian Leadership School of the Year and Ms. Lee as Regional Dean of the Year.